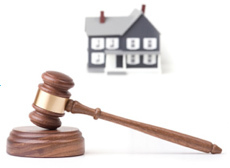 Covering the Midlands and East Anglia, William H Brown not only help people buy and sell a home, we also arrange mortgages, work with landlords and tenants and hold property auctions. Property Auctions are held in Norwich. thousands of people, just how easy it really is. William H Brown is a trading name of Sequence (UK) Limited which is registered in England and Wales under company number 4268443, Registered Office is Cumbria House, 16-20 Hockliffe Street, Leighton Buzzard, Bedfordshire, LU7 1GN. VAT Registration Number is 500 2481 05. For the activities of advising on regulated mortgages and non-investment insurance contracts, Sequence (UK) Limited is an appointed representative of Connells Limited which is authorised and regulated by the Financial Conduct Authority. Connells Limited's Financial Services Register number is 302221.